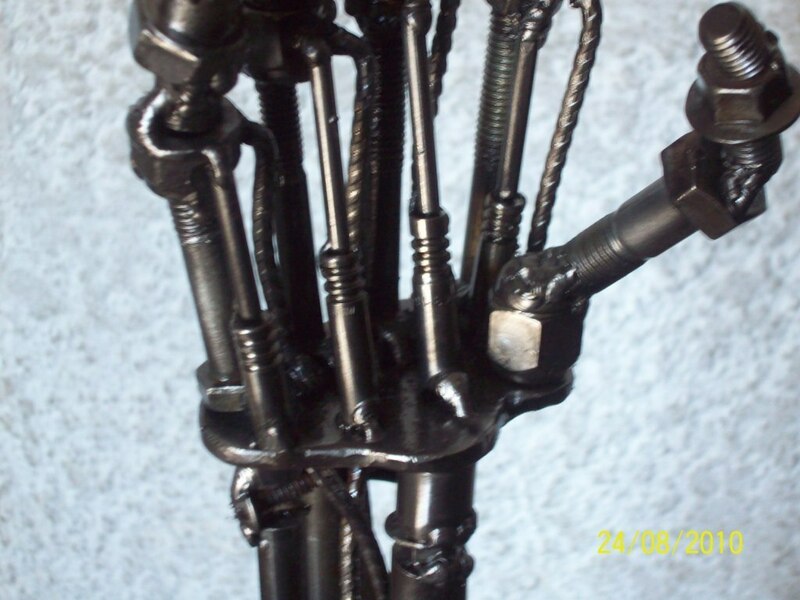 Terminator Arm made with junk,bolts,nuts. Terminator arm made with steel and parts of old cars,any cuestion write to jarbiza2010@hotmail.com. HD Wallpaper and background images in the Terminator club tagged: terminator arm home made t 2 nuts bolts arnold schwarzenegger.